When will be That's Amazing next episode air date? Is That's Amazing renewed or cancelled? Where to countdown That's Amazing air dates? Is That's Amazing worth watching? 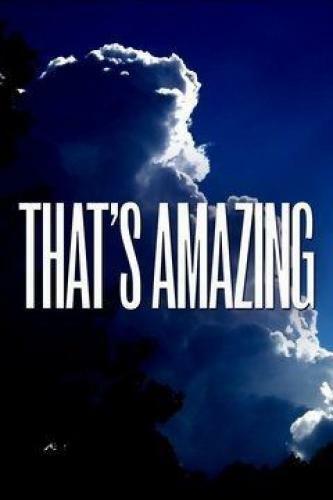 That's Amazing is an eight episode series, which takes the viewers into the great outdoors to find people doing awesome, untold and curious things with weather and the elements. The show also features pioneers of the great outdoors who challenge nature, seek out its limits, reveal its secrets and embrace its awesome power. An explorer who scales peaks in the most remote edges of the world; a social entrepreneur who uses pigeons to monitor polluted air; and an artist who created the world's first underwater sculpture museum. Meeting a team of foley artists who create sounds of weather for motion pictures; a Hawaiian family has been making world-class ukuleles for generations; two brothers bike in the most extreme environments in the world. A compilation of the best stories from the series; a sailboat crew powers their boat with storm winds to cross the Atlantic in record time; Foley artists create weather sounds for movies; a woman hangs 350 feet in the air to repair wind turbines. That's Amazing next episode air date provides TVMaze for you. EpisoDate.com is your TV show guide to Countdown That's Amazing Episode Air Dates and to stay in touch with That's Amazing next episode Air Date and your others favorite TV Shows. Add the shows you like to a "Watchlist" and let the site take it from there.